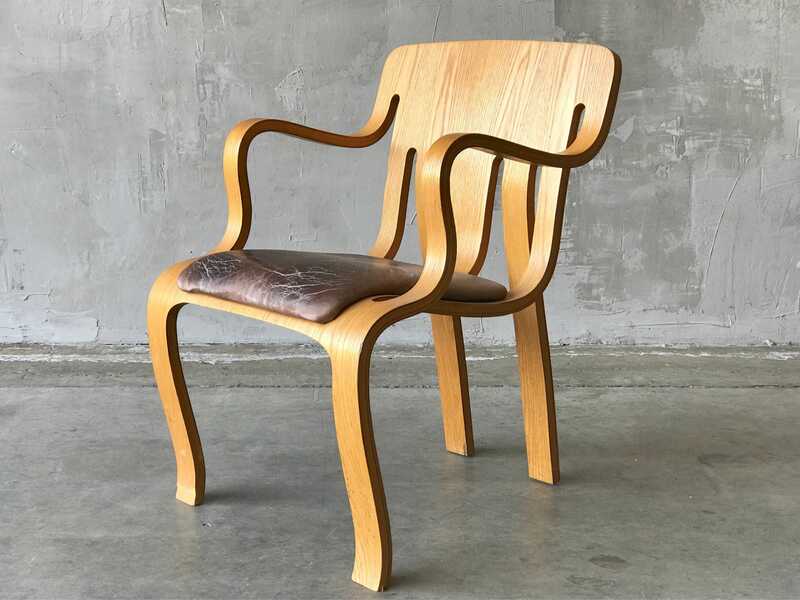 Peter Danko Ply & Leather Chair. 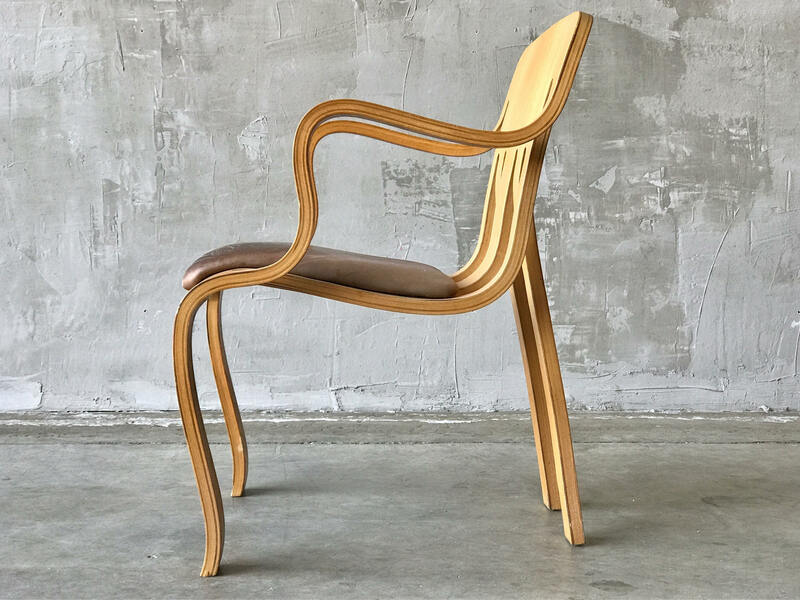 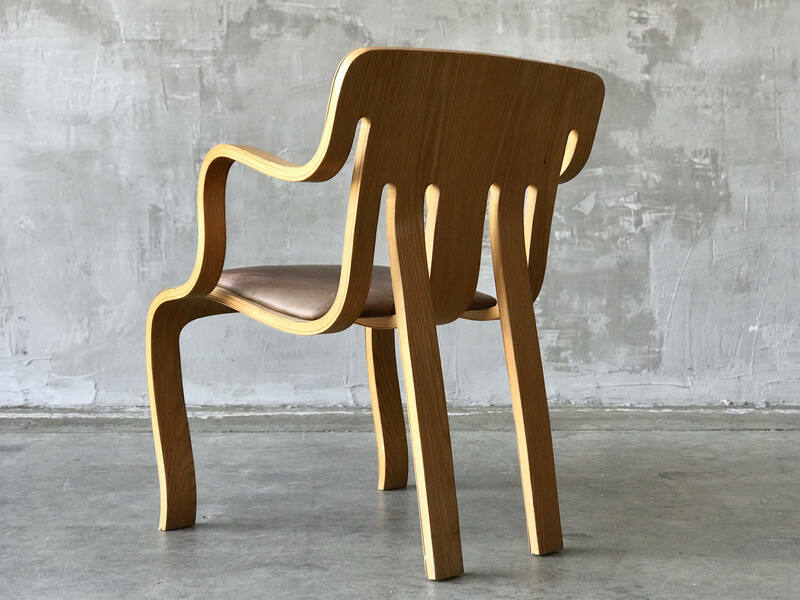 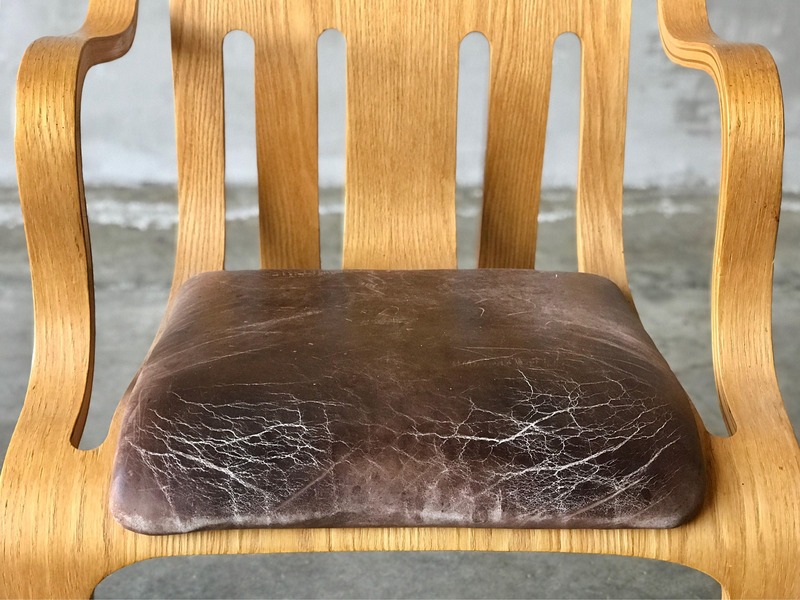 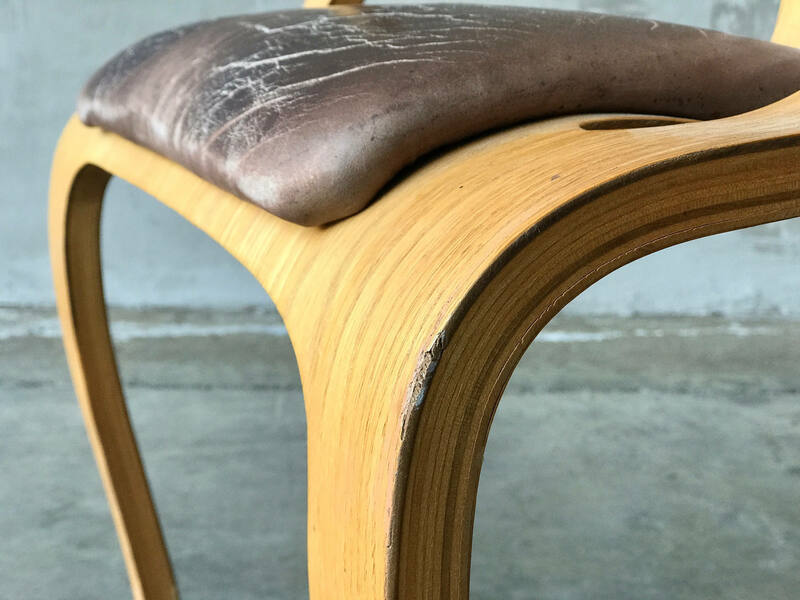 Beautifully formed bent plywood and gracefully worn original leather make this chair a complete knock out. 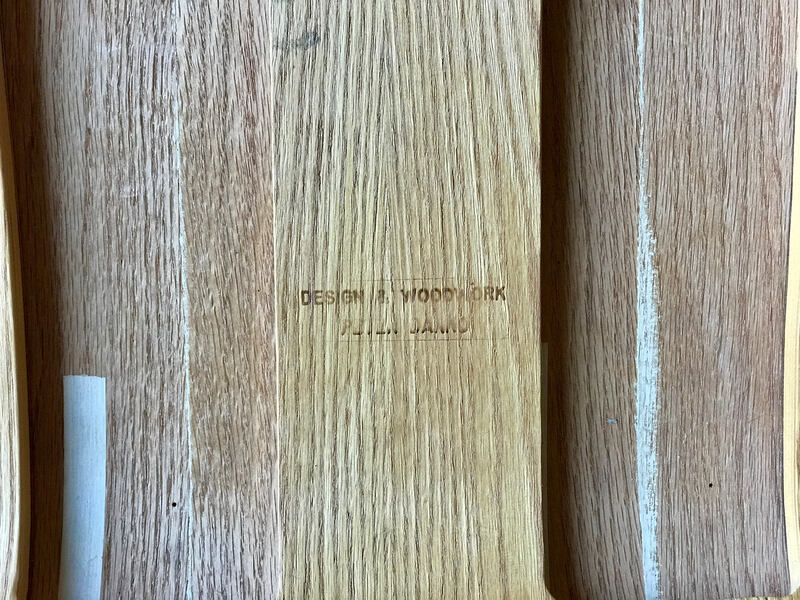 Veneer chips as pictured but in overall very good original condition. 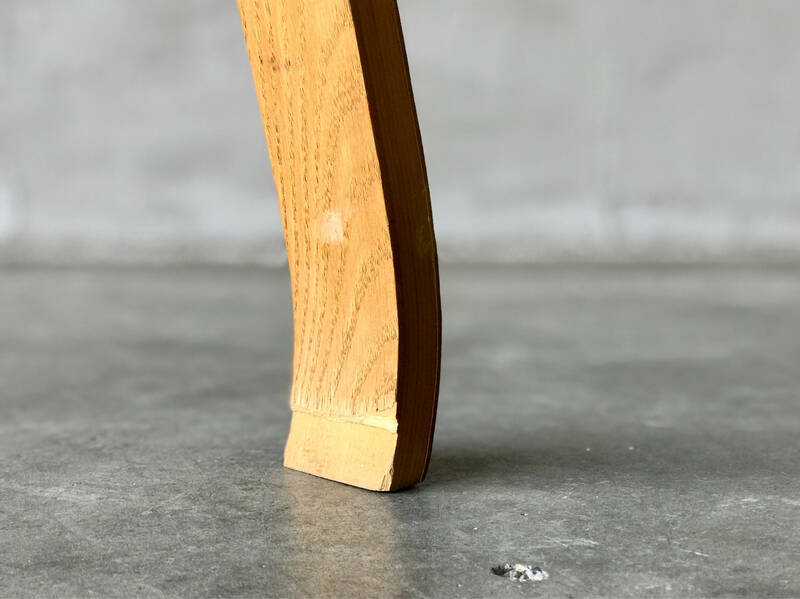 Measures 37.5”H x 23”D x 22”W.